What is The Master's Program Online? 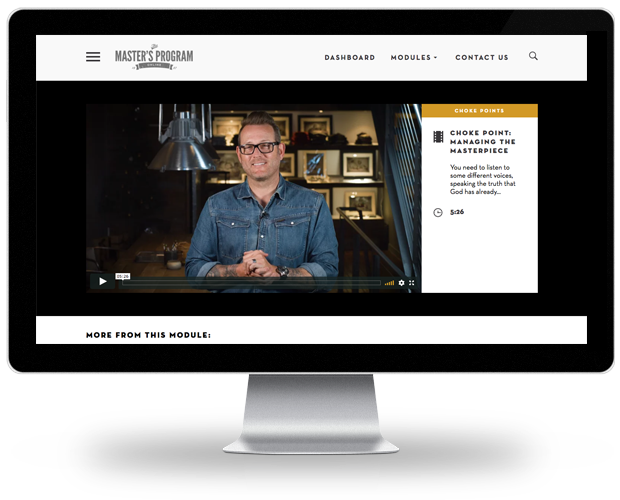 Master’s Online is a 36 week mentoring experience designed for Christians who want their leadership potential – over their lifetime – to be maximized. 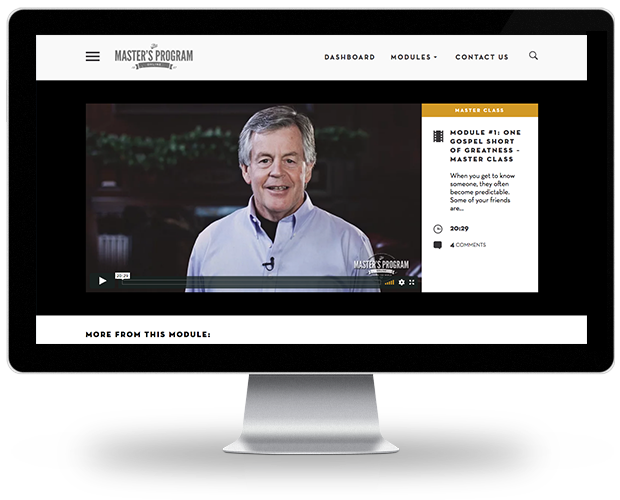 Master’s helps Christian leaders explore, expose and exploit their Kingdom Calling, while refining every aspect of their personal, family & professional realms. Who is The Master’s Program for? TMP is for men and women who know they were made for more than their current experience, and are looking for a mentoring experience that will help them get clear about their unique path going forward. Education is about gathering knowledge; it’s important, but impotent. Mentoring is about gathering wisdom, and it’s essential. When the right knowledge and the proven wisdom join forces in your pursuits, life becomes meaningful and the journey becomes deeply satisfying. Today is the day it all changes, my friend. And for the TRUE CALLING that God has in store for you. Today, you address the inner pains of a life unlived. And open up to the boundless love, energy and impact that comes with a life of full alignment with God’s mission. Today, you stop trying to balance God into your already hectic schedule. And instead, INTEGRATE His mission for you into all aspects of your life. Today, you stop trying to do it alone. And instead, stand on the shoulders of giants and receive the hands-on mentorship and training needed to embody the principles and make them a living expression of your day to day life. Today, you are invited to start living the life of mastery you deserve. 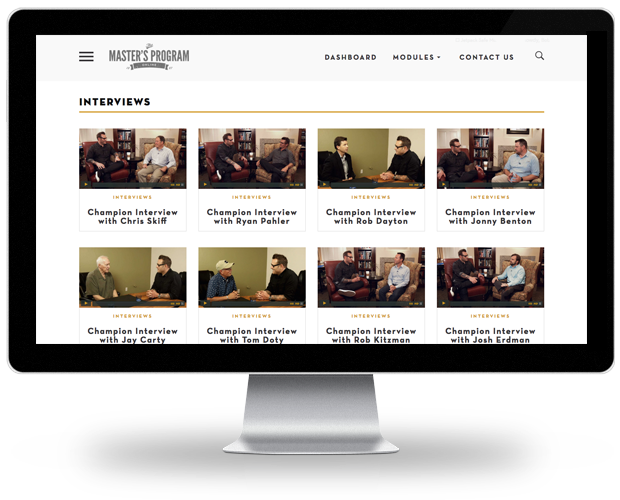 A large library of Champion Interviews with TMP Graduates. A LIVE monthly Coaching Call to ask questions and get answers. What are the topics that are covered? 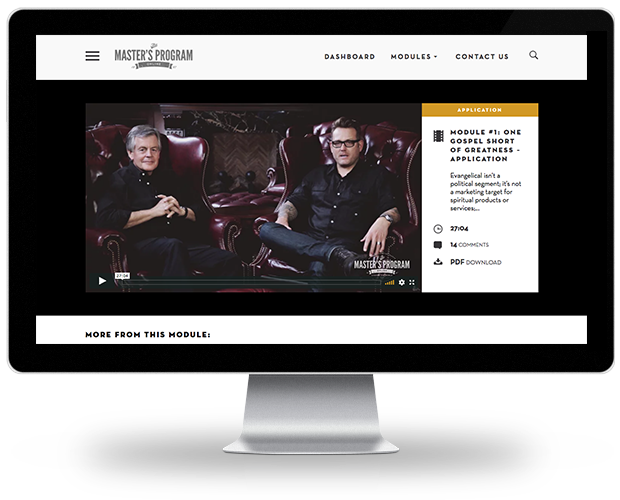 I’ve spent the last 20 years developing and perfecting The Master’s Program as a live experience, with groups of Christian leaders across America. Thousands of men and women have participated; most call it the most impacting experience in their personal Christian history. The impact of TMP on our graduates – in real-time, and for Eternity – has been extraordinary. We want to help YOU become extraordinary. 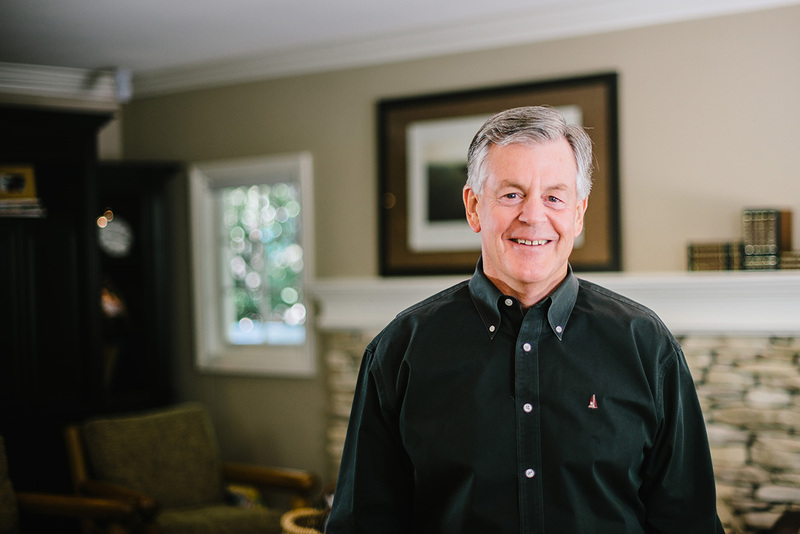 Bob is the Founder of The Master’s Program, providing strategic life mentoring to Christian leaders, and is the co-founder of The Barnabas Group. 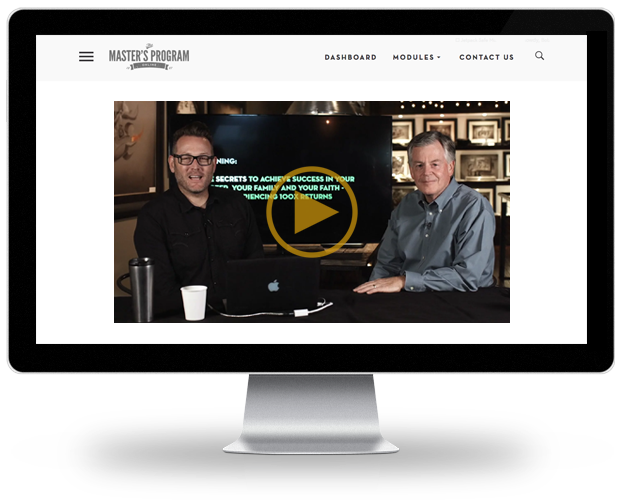 He has been a mentor to thousands of Kingdom leaders over the last 20 years. His 40-year career includes 14 years as a successful entrepreneur in the construction industry, four years as Senior Pastor, and 25 years as a CEO in the non-profit sector. 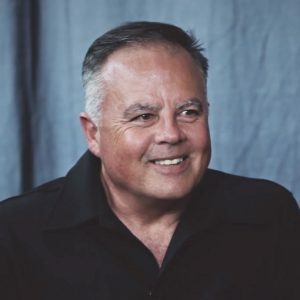 Today, he serves on the governing boards of churches in California, New Mexico and Florida, as well as seven parachurch ministries and two foundations. Married since 1971, he and Cheri live in Southern California, near their two adult daughters. Starting his first company at sixteen years old on a bike selling art door to door, Noah grew to becoming one of the most sought out creatives around the globe. 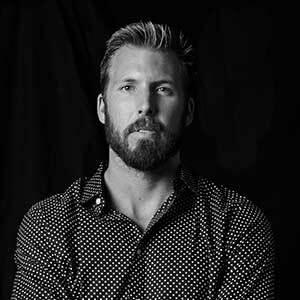 Noah’s work has been featured in such movie franchises Universal Pictures 2 Fast 2 Furious as well as corporate clients including Toyota, Costco, Disney, Toyota, and MTV. Noah was voted top 25 Artist’s in the world by Art Business News Magazine. 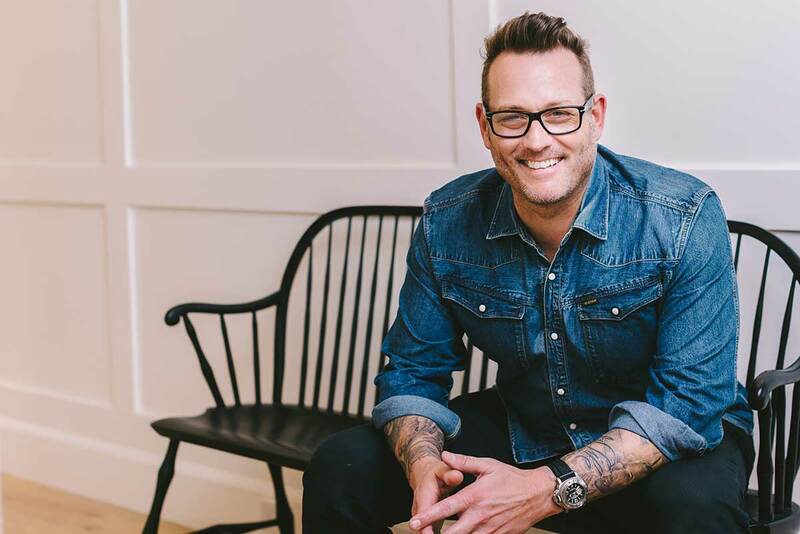 Noah embarked on building a creative agency helping steward and launching online brands to build kingdom content. Initiatives include films, membership sites and online branding. Noah created Noah University, an online mentorship to help creative entrepreneurs. Noah is author of Speedbumps and #fearhunters. Noah and his wife Chantel and two children live in Southern California and they are passionate about rescuing and supporting Aids Orphans in South Africa. Join The Masters Program and test drive the program to see if it lives up to your expectations. If this training doesn’t make you go “Aha!”, we don’t deserve your money. 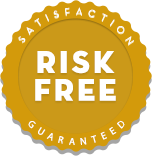 Simply send us an email in the first 30 days and we’ll give you back every penny you invested. Seriously. No questions asked. No weird fine print. You will get a full, prompt refund and we’ll part as friends. Which Enrollment Option is Best for You? 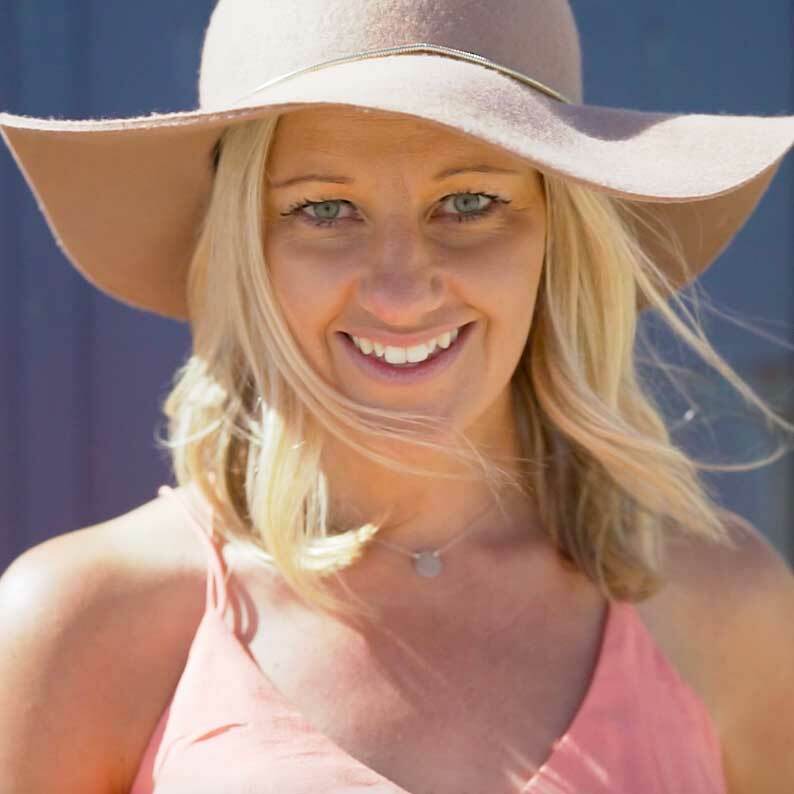 Natalie Box – Founder of The Dreams Co.